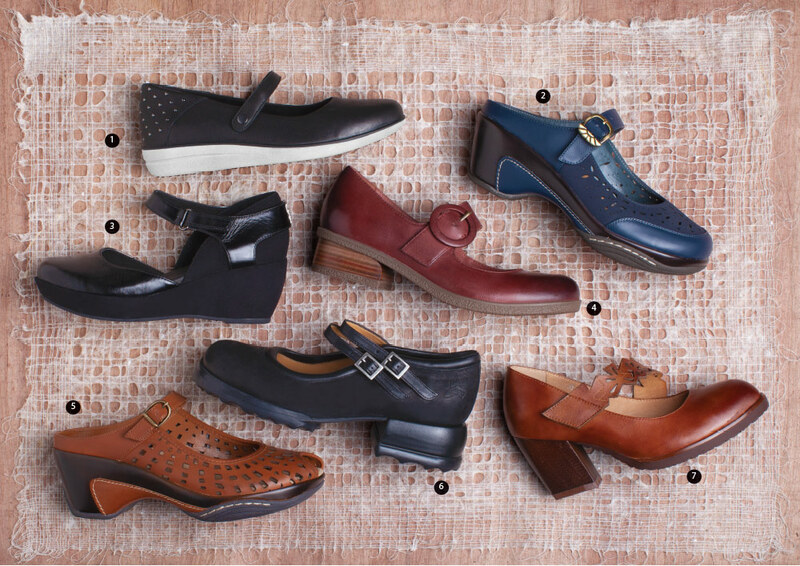 Chunky soles add muscle to the closet staple. 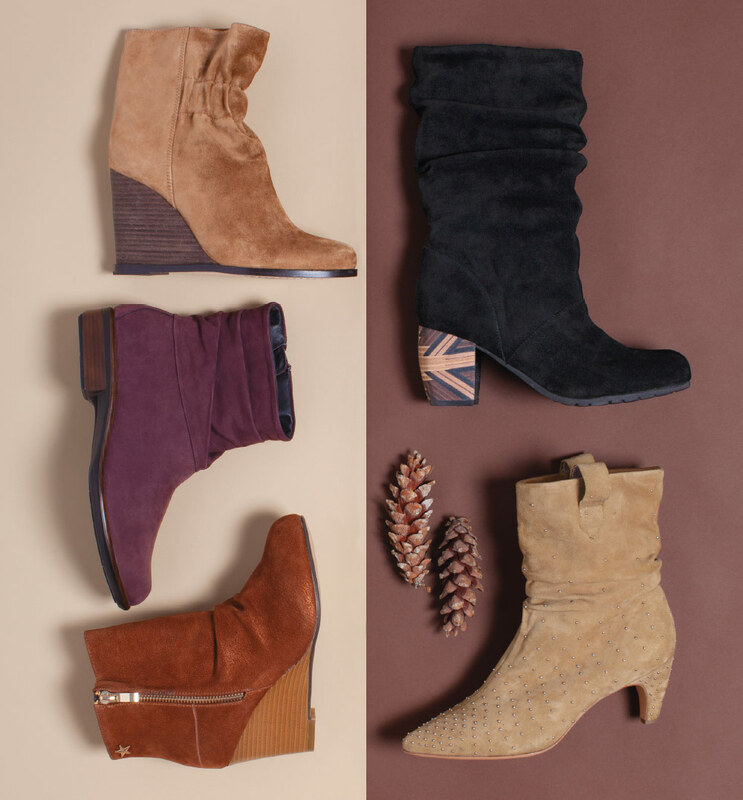 Warm hues and fuzzy materials re-heat the classic silhouette. 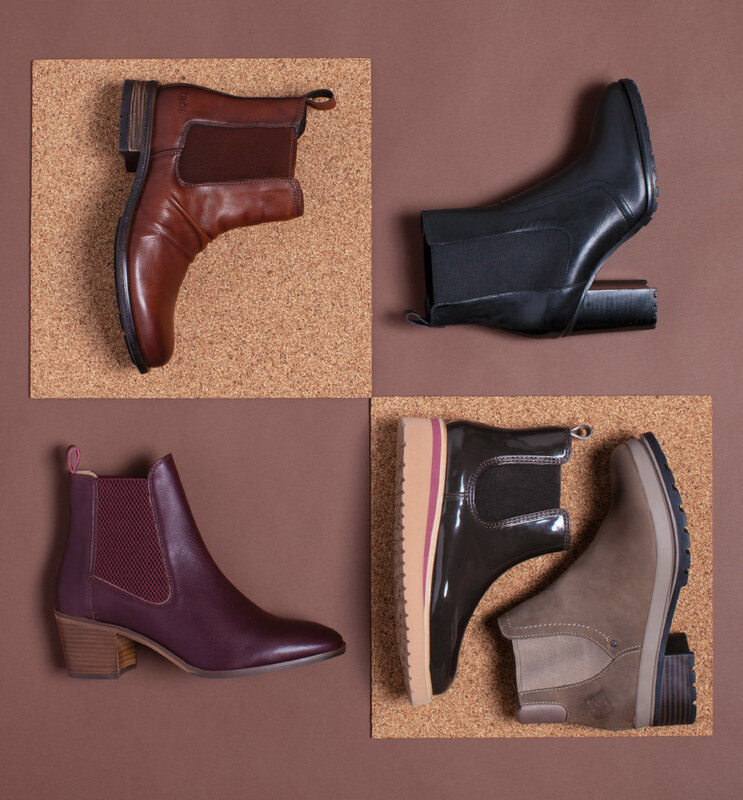 Leather, suede or knit, the earthy tone plays big for fall. 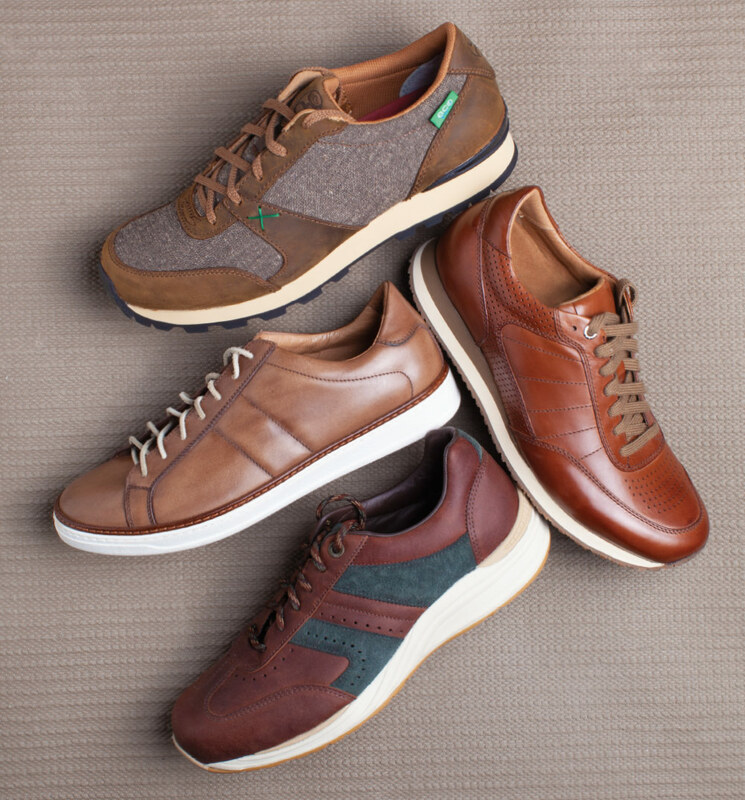 Clockwise from top: Twisted X, Trask, SAS, Ron White. Statement zippers give boots bite. The cold hue is hot. 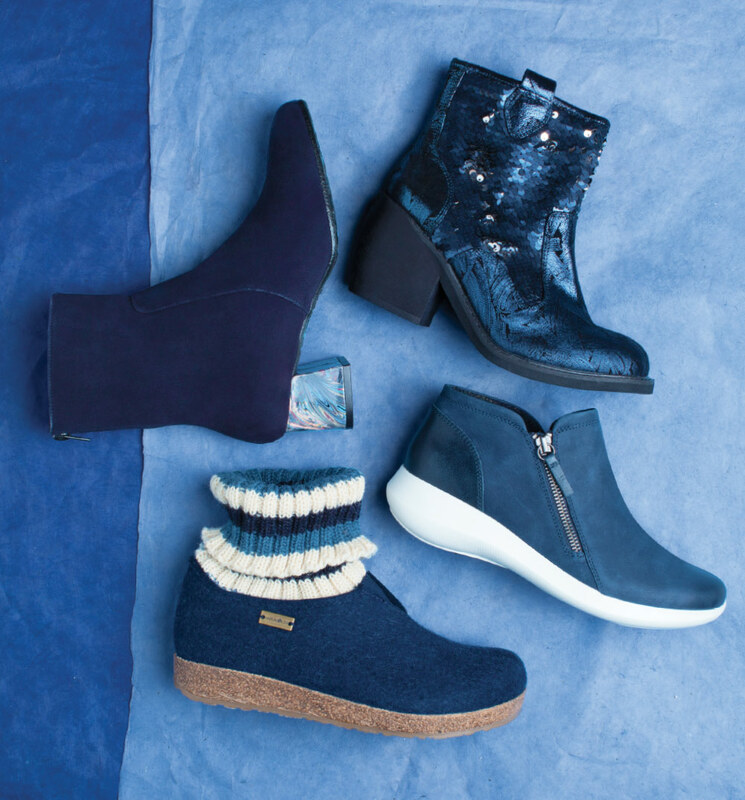 Clockwise from top left: Ron White, Irregular Choice, Aetrex, Haflinger. The men’s dress/casual classic is worth every cent. 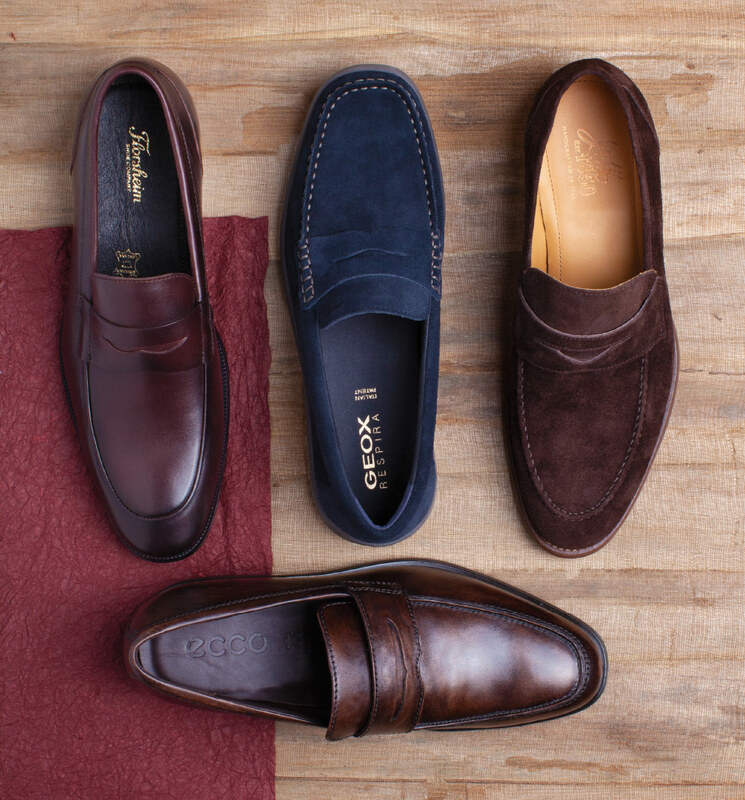 Clockwise from top left: Florsheim, Geox, Johnston & Murphy, Ecco. Studs add ’tude and heavy metal texture. Clockwise from top left: 1. State, Vince Camuto, Naked Feet, Geox, Marskinryyppy. 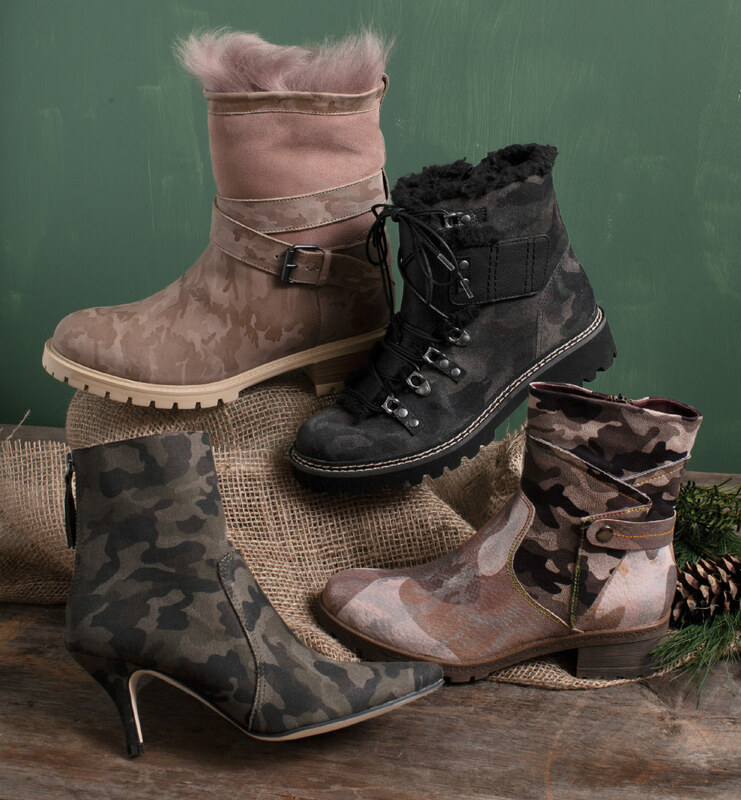 These BDUs are anything but basic. Clockwise from top: Ross & Snow, Earth, L’Artiste, All Black. Statement bows complete the look. Clockwise from top left: All Black, Restricted, Something Bleu, Vince Camuto. Dressed up or down, the everyday silo works. 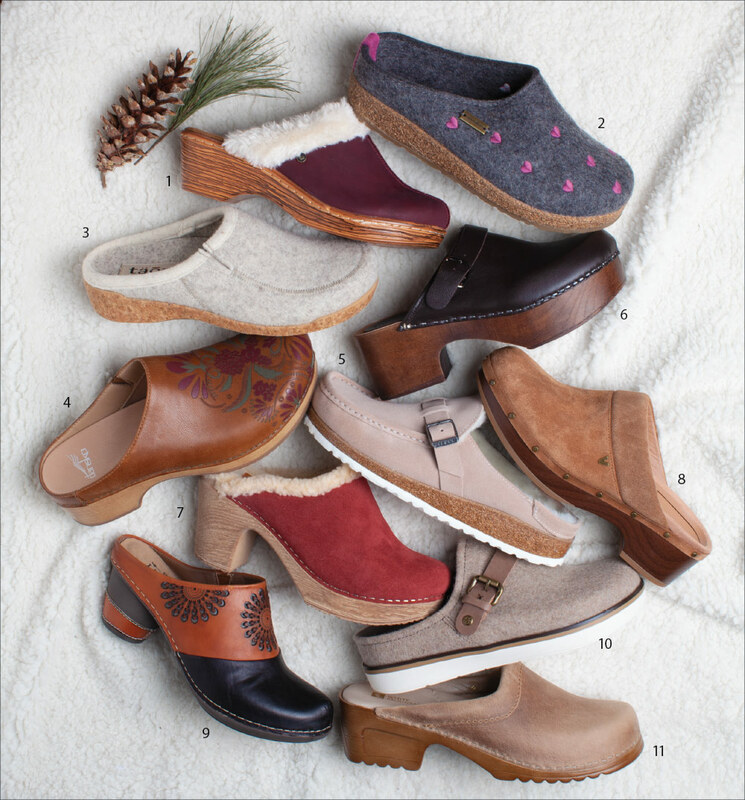 Clockwise from top left: Taos, Seychelles, Cougar, Muck Boots, Joules. Ruching is a welcomed textural detail. Clockwise, from top left: Bill Blass, L’Amour Des Pieds, Splendid, Secret Celebrity, Naot.